I can tell you what this event was: it was after the concert of Beethoven 9th, held on the steps of St Pauls, on the occasion of the celebration of the Bicentennial of US independence. Ludgate Hill was closed for a crowd of about 70,000. Before the Beethoven, the choir (of which I was a member) sang the Star Bangled Banner after Douglas Fairbanks Jnr intoned the Declaration of Independence. 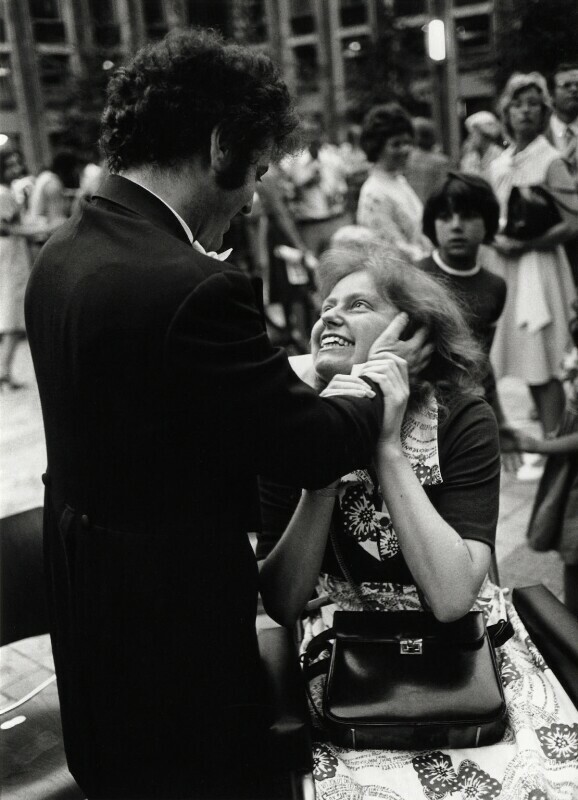 Barenboim's wife, cellist Jacqueline du Pré was very ill with multiple sclerosis, but was present in the audience. It was a very memorable event!